Fantastic Array of Pastel Colors. 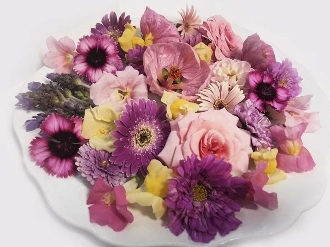 Includes Pinks, Yellows, Creams, Lavender... Includes Dianthus, Carnation, Snapdragon, Daisies. Spring Colors are Gorgeous and Subtley Perfect for any application. Add texture, Spring aroma and dimension to your creations.